All right, let’s have a show of hands. Who remembers the Nintendo 64? If you raised your hand, congratulations: we are now friends. The N64 was a terrific video game system, which brought us such revolutionary and industry-defining games as Super Mario 64, The Legend of Zelda: Ocarina of Time, and Super Smash Bros. The importance of the N64 can’t be overstated, and its legacy endures to this day. Seriously, though, what the flipping heck went wrong with its controller? The N64 controller looks like the misplaced head of a trident. 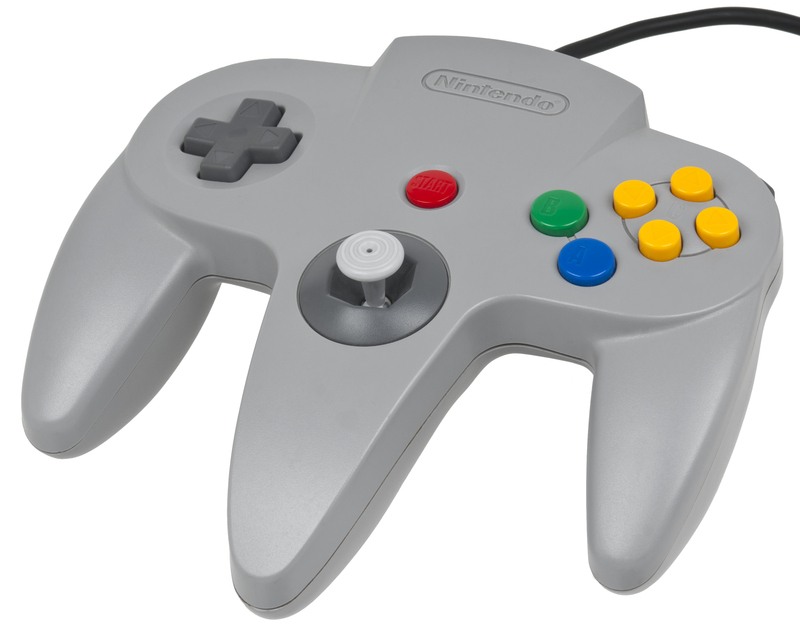 Most N64 games required players to grasp the controller by the center and right-hand prongs, leaving the left-hand prong and its seldom-used D-pad jutting out pointlessly. It was awkward and uncomfortable. Why didn’t Nintendo put the analogue stick on the left-hand side, allowing the player to hold the controller comfortably? The world will never know. Nintendo has a long history of weird controllers, starting with the one for its very first system, the Nintendo Entertainment System. It was basic and angular, without even the slightest effort to be comfortable or ergonomic. 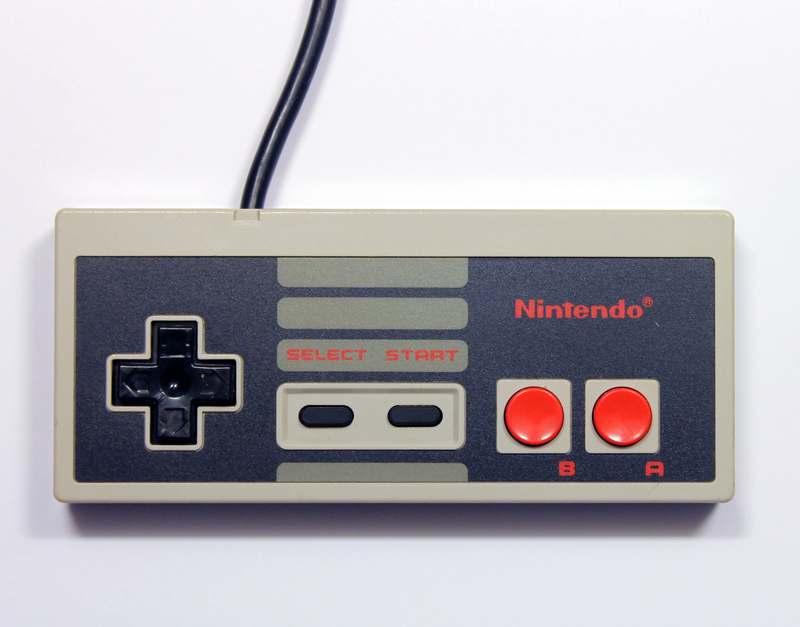 I find it fascinating to trace the evolution of the video game controller across Nintendo’s gaming consoles. The controller for the Super Nintendo Entertainment System was a bit better, and the one for the GameCube was frankly awesome. 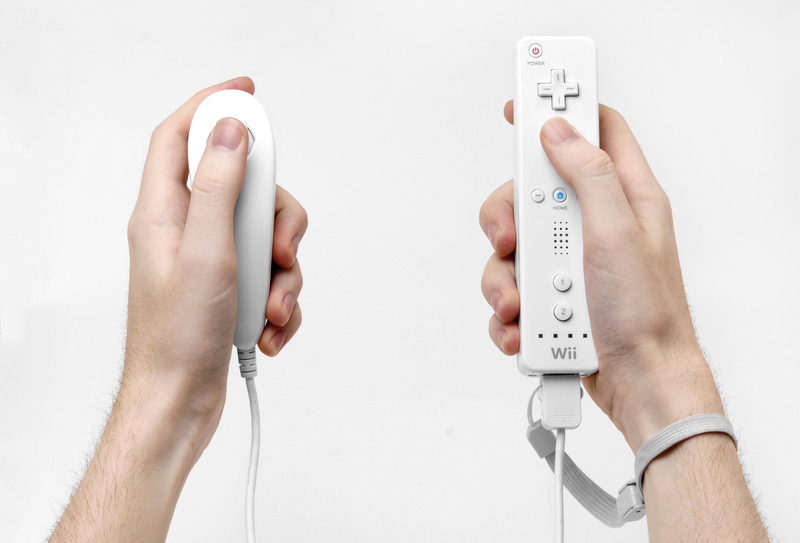 Then came the Wii and its bizarre controller, which was basically a TV remote with an optional attachment that made it look like a nunchaku, a kind of martial arts weapon—it was actually called the Nunchuk attachment. Nintendo’s latest controller, for the Wii U, is basically a tablet. It’s a lot more sensible than some of the company’s previous designs, and surprisingly comfortable. I wonder where Nintendo will go next. Maybe its next console will be controlled not by the player’s thumbs, but by the power of his mind?! Of course, thumbs are fine, too. This entry was posted in Geeky Wednesdays and tagged Nintendo by Adam Stück. Bookmark the permalink.